Fighting HIV/AIDS through medical treatment and care with research, social support and training for healthcare professionals with new facilities and infrastructure investments in remote areas of sub-Saharan Africa where resources are extremely limited. Since 1999, BMS has invested more than USD 160 million to develop and replicate innovative and sustainable solutions for vulnerable populations, including women and children, infected and affected by HIV/AIDS in sub-Saharan Africa. 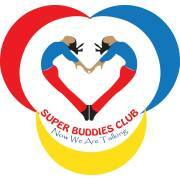 The project involves NGO and IGO partners in Africa. Building the healthcare infrastructure (completed). Grant-making to build the capacity of healthcare providers and communities (completed). Transfer skills and know-how to additional countries to additional countries in sub-Saharan Africa (ongoing). Secure The Future is a comprehensive initiative to fight HIV/AIDS in sub-Saharan Africa, sponsored by BMS and the BMS Foundation. The program combines medical treatment and care with research, social support and training for healthcare professionals with new facilities and infrastructure investments in remote areas of sub-Saharan Africa where resources are extremely limited. Prevent transmission of HIV/AIDS, related illnesses and other sexually transmitted diseases. Reduce the impact of HIV/AIDS on individuals by empowering infected and affected women and children. Expand access to antiretroviral treatment by informing public health policy. Reduce mortality and improve overall health for patients with HIV/AIDS in sub-Saharan Africa. Address the impact of HIV/AIDS on mental health. Reduce the impact of cervical cancer for at-risk women. Baylor College of Medicine in Houston is recognized as a premier academic health science center and is known for excellence in education, research and patient care. Read more about Baylor College of Medicine's history. than 90 research and patient-care centers and units. Currently, Baylor College of Medicine trains more than 3,000 medical, graduate, nurse anesthesia, and physician assistant students, as well as residents and post-doctoral fellows. Baylor College of Medicine programs are designed to develop life-long learners, continuously striving to know more, to do more, to help more. Through numerous educational outreach programs we start as early as kindergarten to cultivate passion for medicine and science. Continuing medical education programs provide the tools for our physicians as well as for physicians throughout the region and beyond to keep abreast of the latest advances. Our medical school, graduate school, school of allied health sciences, and school of tropical medicine each have their own innovative curriculum and their own claims to status as among the best in the nation. But, they all share a common vision, to help each student and trainee realize his or her full potential. 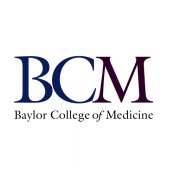 Baylor College of Medicineoffers cutting-edge diagnosis and treatments in a compassionate manner that respects our patients. Our patients ranges from premature infants to senior citizens. Many Baylor physicians are national and international experts, and together they offer an incredible array of services, from primary care to highly specialized areas of expertise. Our patients have access to the latest advances in medicine thanks to close collaborations with Baylor's leading scientists. The scale or our research enterprise; the exceptional caliber of faculty we attract; and the richness of biomedical research resources within Houston support creativity, innovation, and discovery. Our faculty, whether native Texans or not, embrace the Texas “can do” spirit as well as a strong sense of family. 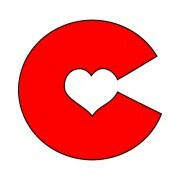 This combination creates a balance between ambitious competitiveness and unwavering loyalty to colleagues. The result is an environment in which faculty mentor each other, support each other, and celebrate each other’s successes. Baylor alumni are spread across the globe, helping to advance science and medicine in a wide spectrum of venues. Baylor trainees and faculty travel widely, collaborating with colleagues, providing care to underserved communities and building ties that benefit Baylor, our local community and communities around the world. Formed in the year 1992 as an NGO in Ghana, the aim is one of information collection and dissemination not only to improve and update the knowledge and skills of those involved in the prisons sector but also to gauge the current facilities available to prison inmates, ex-prisoners and those who come into contact with them for rehabilitation, aftercare and assimilation into the main stream of the society. The mission of Christian Care is to make life in prison humane and to provide rehabilitation and offer care and support to ex-convicts so they can be reintegrated into their communities. The organization has collaborated with institutions and organizations such as Ghana Aids Commission (GAC), Ghana HIV/AIDS Network (GHANET), International Prisons Watch Ghana (IPW), Joyful Way Inc., Department of Social Welfare, Ghana Country Coordinating Mechanism (Ghana CCM), National Aids Control Programme (NACP), National TB Control Programme (NTP) and many others. Comfort the Children International works alongside Kenyan communities to provide resources that create sustainable change. Instead of simply giving aid and money to those in need, they build relationships and programs that empower residents to help themselves. They are a 501(c)(3) non-profit that helps Kenyans build and manage the sustainable infrastructure necessary to meet the challenges of everyday life, employing over 75 local Kenyans and serving the 60,000 residents of Maai Mahiu in the Rift Valley. CTC’s initiatives focus on education, environment, economy, health and community development that directly impact the community as a whole. Our programs are delivered through local relationships, creating the foundation necessary to make lasting changes while ensuring that donations of time and money have a maximum positive effect. 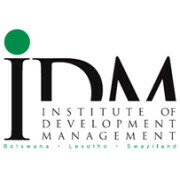 Institute of Development Management (IDM) was established in 1974 as a regional organisation in Botswana , Lesotho and Swaziland (BLS) countries to help meet the management needs of the Region through management development activities including training, consultancy, research, and the establishment of a Management Resource Centre. IDM has traditionally conducted consultancy projects in the BLS countries but, in recent years, these services have been used throughout the SADC Region. The expertise available from IDM is extensive, covering a wide range of subject areas in the five core departments. Management Development through Training, Consultancy and Research. Be a leading provider of quality and innovative management and organizational development services in SADC region and beyond. KANCO is a membership organization established in the early 1990s in Kenya with operations in the eastern Africa region. Its membership comprises of Non Governmental Organizations (NGOs), Community Based Organizations (CBOs), and Faith Based Organizations (FBOs), Private Sector actors, Research and Learning Institutions that have a focus on health advocacy and or implementing health programes. KANCO has a strong presence both at the national, regional and global levels. This has been made possible by strong membership at the national level as well as building strong and lasting partnerships with regional and international organizations. KANCO has a membership of over 1200 organisations and numerous individuals that are networking, collaborating and are bound together by a common vision of an HIV, AIDS ,TB and other public health issues of importance in Kenya. Formed with a principle to support members to respond to the HIV & AIDS epidemic in line with the existing government co-ordination mechanism for HIV & AIDS and TB activities, KANCO has evolved to become a premier agency for sensitizing, mobilizing and promoting collaboration among civil society organisations (CSOs) working to mitigate HIV & AIDS and TB and their impacts in Kenya. In 2009, KANCO was accredited as a linking organisation for the International HIV and AIDS Alliance (IHAA) in Kenya. IHAA works globally to support communities around the world to reduce the spread of HIV and to meet the challenges of AIDS and related health issues. As a linking organisation for IHAA, KANCO supports joint action on HIV & AIDS and TB at the community level and commits to developing mechanisms to help CSOs work together to achieve the shared goals. KANCO’s plan for the future is guided by an overall goal to provide strong leadership among civil society organizations in contributing towards ensuring equality and equity in the access to health services among people and communities. 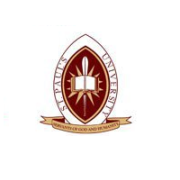 St. Paul’s is a Christian Chartered University in Kenya that offers societal relevant education focusing on the whole person. The graduates are therefore competent in areas of study and general skills of life. The University has its Main Campus in Limuru and other campuses in Nairobi, Nakuru and Machakos. The University is an internationally recognized private institution that provides education to over 5000 students at the graduate and undergraduate levels. The Christian Principles and perspectives on life and a student body and faculty that represent different countries provide a diversity that enriches learning and your stay at the University. St. Paul's has a long-standing reputation, which is known and respected for providing high quality training. 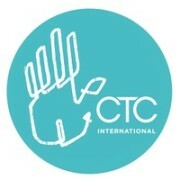 Over the years they have trained theologians and pastors for service in the Christian Churches. In various parts of Africa many Church leaders, such as Bishops, Moderators, General Secretaries and even Archbishops have been trained at St. Paul's. With time other programmes including Business, Communication, ICT and Development oriented have been introduced so as to increase their impact with many of their graduates taking up positions of leadership within a relatively short time. After meeting the set requirements, St. Paul's was registered as a private University by the Commission for Higher Education, thus formally allowing it to offer its own degree programmes. The University was awarded its charter on September 14, 2007 by His Excellency Hon. Mwai Kibaki, C.G.H., M.P., President and Commander in- Chief of the Defense Forces of the Republic of Kenya. Identity: St.Paul's University is a Christian Ecumenical Community Dedicated to the Promotion Of Knowledge and Christian Spiritual Formation for the Good of Humanity and the Glory of God. A successful strategic planning process will define the common purpose that brings and holds together the many elements of the university community. The commitment to being a Christ-centred institution through their desire to serve God and humanity is the value they, as a community, hold most central and dear. They therefore shall encourage a shared sense of responsibility, and they will be able to realize their collective obligation to use their resources wisely and creatively in accomplishing their Vision and Mission. -Professionalism: The University shall uphold high quality academic status, ethical and quality standards in terms of recruitment, admission and services provided to enhance professional competence by providing the highest level of education to all. The University Management shall seek to attract and retain qualified staff to provide quality training for academic excellence, upholding the highest level of Christian integrity and providing academic and spiritual excellence. -Ecumenism: The University shall respect and honour the diverse denominational backgrounds of their students and staff. The university community shall encourage openness and respect for different religious traditions, and seek to work in partnership with like-minded groups for the development of the university. -Integrity: The University shall strive to be transparent and accountable in all its areas of operation. It shall appreciate and reward exemplarily services at all times thereby promoting accountability by encouraging openness and fairness to one another and among all stakeholders. -Partnership: The University shall create an environment where all stakeholders in the University share decision-making, and appreciate the benefit of synergy. The university shall strive to create this partnership though a team spirit that supports each other as they perform different functions for their common vision and mission. -Equity: The University will promote good citizenship, for they believe that they are all made in God's image. They treat other parties with fairness, dignity and respect. -Customer Centric: The University shall ensure commitment to achieving the highest level of customer satisfaction and provide their students and staff a positive experience in all their work processes by adopting a mind-set and attitude whereby satisfying the customer is the number one goal. This will include taking into consideration the working relationships among all employees and treating every member of staff as a customer in an effort to inspire, encourage development, and transform work as well as customer experience. -to develop in students a deeper understanding of traditional and modern Africa, and to equip them effectively to provide a Christian approach to the social, economic and political development of the African continent. Touch Foundation is a secular, non-profit organization committed to improving the health of the Tanzanian population by strengthening the health system across the different levels of care. Touch focuses on two key elements of the health system: Improving the quantity and quality of healthcare workers and enhancing healthcare delivery mechanisms. Touch Foundation expands its impact by sharing the acquired knowledge with the local and international public health community. Touch is committed to improving the health of the Tanzanian population by strengthening the overall health system. 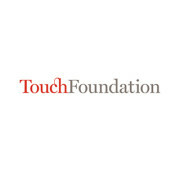 Touch Foundation approach the health system as an interconnected web of elements, all of which need to be functional to enable effective delivery of care. These elements include healthcare workers, infrastructure, supplies and equipment, transportation and referrals, and healthcare management, among others. Touch works across the different levels of the health system from tertiary hospitals down to village level facilities. Touch Foundation structures the work within two main programs: Treat and Train: an integrated healthcare and education network in the Lake Zone of Tanzania and Knowledge management and sharing. Touch has supported the education of over 3,000 healthcare workers, and 96% of them are currently working in the Tanzanian healthcare sector. We have also strengthened healthcare delivery through investments in infrastructure, equipment, and supplies, enabling healthcare workers to use their knowledge and skills to serve people in need.